The travel Tivat - Dubrovnik takes around 1 hour and 48 minutes for distance of 68,0 km. It is good to know that prices on this route alter depending on the bus carrier, and a number of other elements, for example the time of departure and so on. Tivat - Dubrovnik has numerous day-to-day bus routes. Both bus stations are fully furnished with additional conveniences like cafe bars where you can order a cup of coffee and bakeries or fast food restaurants where you can buy something to eat. 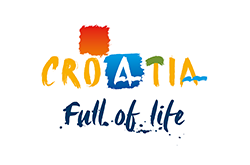 These towns, Tivat and Dubrovnik, have rich history, culture and tons of interesting events, concerts and other similar facilities which you are in a position to enjoy while visit. Tivat main bus station also Dubrovnik bus station are located near urban city center, or, to be more precise, the separation is miniature enough so that you can take a tour by foot. Besides various or in better words numerous counters for ticket sales in just a few minutes it could be a large crowd and because of that we suggest to use Vollo web site or app and get your ticket online. Since this is the central and biggest station for buses in the full city it is not hard to conceptualize that it is equipped with all things you could probably want for a comfortable travel, such as ATMs, fast food objects, kiosks and toilet. In case you need a WiFi go find a coffee room which has gratis internet connection. Added to that, Tivat bus station has a wardrobe where you can leave your luggage and your personal belongings so that you can be free like a bird and go for a walk to visit significant places and buildings situated close to bus station. The average period of travel is 1 hour. It is problematic to determine the average travel time because if the bus drives by the superhighway and there is no stops in the cities, continuation of your travel is minimal and if, however, bus stops at every bus station it could relatively increase period of journey between Tivat and Dubrovnik. Buses that operate on this line are traveling safely and comfortably. In case that you forget to do this if bus stops at the petrol station you have around 15 minutes and you can use that time to go to the W.C. or to buy something to eat. The connection between Tivat and Dubrovnik is fantastic over the highways and fast roads but don't forget to go to the lavatory and fresh up before you sit on a bus. This station makes a real traffic within country, which includes little towns and suburbs, just like all dominant or in other words major cities for example Podgorica, Mostar, Mostar, Nikšić, and Trebinje. Dubrovnik station is just a few steps from the center of the city. Assuming that you think you could use some bonus information maybe it is time to search for the information desk. Central bus station is equipped with every little thing you could conceivably demand or wish, like: kiosks, bakeries, fast food objects, a parking lot and nearby TAXI station. The information desk is the right place to ask about price charts, new discounts, terms and conditions and stuff similar to that. Some buses even have electrical outlets for charging mobile phones, tablets and other computer equipment. All of the buses that operate on the line Tivat - Dubrovnik have comfortable seats, free WiFi, air conditioning and TV. Also, it's good to know that several bus carriers have water closet in their buses and no charge for luggage and your personal belongings. All information about popular bus lines you can see when buying or in other words purchasing bus tickets through our application. The bus ride Tivat - Dubrovnik offers the best correspondence for money in terms of price, luxury and quickness. If you think about the car, you must include a cost of gas, and supposing that you are going to drive by old route, you will not have to pay the toll, but you'll drive an hour longer in comparison with a bus. The train is beloved transportation for passengers but ride Tivat - Dubrovnik wasting more time, and again more money. The flight on the identical track takes lot less time, disregarding the check-in and arrival at the airport which is away from the urban center and at the same time values a lot more. Undoubtedly, the bus is more painless and more economical choice. Cost of bus tickets in one direction from Tivat to Dubrovnik ranges from 16 EUR to 20 EUR. The majority wants as soon as possible to arrive at the destination, of course, the best way to do this is a direct line to your destination without stopping at other bus stations. If you don't mind about the length of your adventure or in better words journey, then you can choose a cheaper bus ticket and enjoy in the thrilling scenery from Tivat to Dubrovnik. Regions where buses pass or stops include: Budva, Kotor, Herceg-Novi, and Ulcinj, so in order you have any spare time be positive those are all fascinating and kind regions where you can go for a quick travel on your way back. Throughout traveling you can experience delightful views of places, fields and cities that you pass. This city offers to its passengers lovely chance to enjoy the offer of museum which will fulfill the expectations of cultural life of Tivat. Tivat is usually mentioned as a popular destination by reason of its charming nature, rich history and powerful culture. The outstanding way for researching is to begin at the central square. If you find yourself hungry after sightseeing the sights you can hop over to the first fast food object or ask hosts if they can tell you about some of the best nearby restaurants - the choice is yours. It is distinguished by a unusual charisma, and that is obviously accepted or better to say recognized by numberless passengers or in better words tourists that you can look at every corner in Tivat. Dubrovnik attracts thousands domestic and foreign travelers because of plentiful festivals of pop music and events, especially during the summer. Tourists are charmed with the artistic heritage and all its sights, which Dubrovnik has a large number. Dubrovnik is a summer home for lots of domestic and foreign passengers, so be sure to book your apartment early enough. After exploring and enjoying the city and assuming that you want to continue your trip in some further country let us suggest you destinations such as, Vienna, Sarajevo and Budapest.